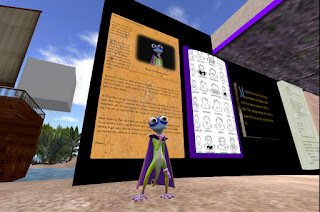 Q- Your avatar, Draxtor Despres, and your video work are famous in Second Life, but not all of our blog readers are familiar with SL. And I suspect even those who know Draxtor don’t know much of Bernhard’s physical world background. Please tell us a little about yourself, and what you do lately. BD- I have a music background. I studied music, guitar and piano. My piano skills are abysmal. I use the piano for composing. I still do film scores. I actually have a French documentary coming out in October. I just did the music. I also have a background in radio journalism. I was the news director at a small NPR [National Public Radio] member station in California, where I also trained volunteers and students. I can also clean the dishes really well and, for a man, I have impeccable bathroom cleaning skills…although it is disputed. I also have a sense of humor, which for German people is very rare. Q- And what about Second Life? Second Life and virtual worlds have taken over my life to some extent, in a positive way, because it has become such a playground and a creative outlet. Yes I do other things in the physical world but I do a lot that is related or inspired by Second Life. Second Life to me, when I discovered it, it brought everything together, it kind of combined all my interests, finding out what drives people, people’s unique stories, and wrapping this into some sort of documentary format. What was new to me was the filming aspect of it. I worked on films as a sound guy, but I never really made whole movies. I learned a lot. I learned video editing. But also I got a lot better at talking to people so that they feel comfortable so that I can I can use it for my documentaries. Q- Your most recent video work is a short promo for the Second Life 15th Birthday. Why do you concentrate so much on Second Life? BD- Interestingly enough, I just got a Twitter message from a guy who said, “Oh, you love Sansar so much. You seem to have an aversion to stepping into that old Second Life place.” The truth lies in the eye of the beholder, I suppose. I feel very, very… I think it’s loyalty. But loyalty can mean sometimes you’re still sticking with something although you’d like to move on. I don’t see the need to move on from Second Life. Second Life is extremely rich in stories and I am a story teller. I find the vibrancy of Second Life is so rewarding. Even with all these other worlds that are coming along, and we’re doing a lot of stuff in Sansar, but it hasn’t grown to that extent yet that there are so many rich stories. It’ll get there. Sansar is a new continent. So right now I am basically shuttling back and forth between the old continent and the new continent. I’m sure there’s people in my physical world who probably say behind my back, “Oh my God, Bernard, you’ve not moved on from that virtual world.” And I think that’s a rather sad statement. That only comes up because we’re talking about an old technology. Tom Boellstorff is fairly eloquent about that. He says, “Nobody would say that about a city, or a culture, or even music, just because it’s been around, it makes it invalid.” In terms of technological platforms, we have become accustomed to say, “Oh, that’s yesterday’s news.” And we’re sort of conditioned by the tech industry to think that way. And that’s rather sad. Yes, Second Life is a technology platform, but it is inhabited by real people. The stories of real people are never yesterday’s news. This is the gray area. 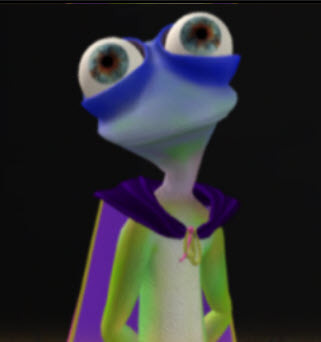 When people go, “Are you still in Second Life?” I feel very sorry for that guy. It’s like, you meet someone at the high school reunion and they’re still doing something, like collecting pencils or catching butterflies or some weird hobby. That’s pretty insulting. It says something about them, that they have been so conditioned to… To me this is actually a narrative in the type of capitalism that we have subscribed to where everything has to be upgraded constantly. Your old car is not good enough; you need a new car. The car drives fine, but no, you need this other thing, so it’s a rat race of features and of course as you know what is always being touted as the reason why Second Life in particular is not valid any more because it’s being outdated in graphics and performance and stuff like that. I guess if I’m a good friend I could say, “I can really see the years on you, but you still have your charm.” You could say that about SL too, maybe. But still I find it extremely offensive that the mainstream press in particular feels it needs to point out when something is written about Second Life that it is somehow outdated but it is still sort of lingering around. It’s not. I hate to break it to you but I think that globally we have bought into this thing that new is better. You could just as easily knock down a house and build something new on top of it. Q- Before that video, you made a documentary about a research project involving people with disabilities titled “Our Digital Selves.” Over the years I’ve known you, you’ve done several videos about research on the Second Life disability community. BD- I don’t remember how that all started. I need to point out that my mother was a special ed teacher. I always thought it would be normal for everyone, that it’s not a big deal to be around people with disabilities, because I grew up around people with disabilities. When I was in kindergarten, my mom still had to teach. I was already out [of school for the day] and she was right next door with the special school. That’s where I went. I had to sit quietly for two hours. There were kids in wheelchairs, kids with Down Syndrome, just a whole bunch of different kids of various abilities. To me this was very normal. Later, when I grew up, I realized that so-called “normal people,” or able-bodied people don’t know how to act around people with disabilities. When I entered Second Life, these stories kind of came to me. Now I realize I’m very happy that I found a place where people trust me to tell their stories. That’s all I can say. If I think back, the stories of Login2Life, which is Daniel Moshel’s film, I had nothing to do with this film other than it was brought to me…I don’t know how Daniel came to me, but he wanted someone to act in this film, and then he found other people like yourself, or he hadn’t yet found you. Q- Why do you think people with disabilities come into Second Life? How do you know if a person you meet in Second Life has a disability? BD- So this was not something that I sought out. It really kind of came to me, and I think I realized that through conversations. Because as you know, people get the opportunity to disclose at their own pace. So when you start talking with someone, they don’t throw it at you right away what their life circumstance is. But when they gain the trust, then they will and so I think over time I realized that this is a strong force here in Second Life that is very creative and.. I’m just thinking to myself if I had an inkling or if I had an intuition about them, but I don’t think I did.. because at the very beginning I was like oh my god look at all these people and I was more like ahhhhh the scientists oh my god the researchers oh my god these people play democracy role play. And you’re not forced to disclose it. In my earlier stories there may have been a whole bunch of people who may or may not have been disabled but in the context of when I did a story about Neufreistadt sort of democracy role play, at the time the fact that people were disabled was very secondary and that is very good for this particular story. I think this is a big strength obviously, that it’s not relevant. Sometimes it’s very relevant, when we talk about policy and inclusion, but sometimes it’s not relevant. It’s about the fun people have when they do Harry Potter role play or … I’m trying to find examples from my own body of work, but it’s so extensive. I need a librarian 24/7. Q- Have you had any negative responses to your “Our Digital Selves” documentary? BD- The response to this documentary has been very good. But what is surprising to me and a little bit frustrating, I have a few folks that I happened upon that I am following on Twitter and interacting with in the disability community, there is a guy named Dominick Evans who is also a gamer and he is making a disability documentary… they were not responsive, they were not interested when I told them about it. And again this is complete speculation, especially with Dominick Evans, I think it had to do again with Second Life. I can relate to it. If you are looking for a specific type of fun and entertainment and Second Life does not provide that, it looks like a duck but it’s not a duck. Q- You’ve discovered one of the divisions within the disability community. BD- I always think of my grandmothers. They were both in the same old folks’ home, and they didn’t like each other. One was on the first floor and the other was on the second floor. I visited my father’s mother on the first floor. She had diabetes and lost her legs. And then I went to the second floor and my mother’s mother, she was traumatized because my mother died very young. They both had a hard time. But they were constantly fighting about who had it worse. That was in a way kind of hilarious to me. I went to the second floor and she said, “How is she doing down there?” I said, “Well she’s doing fine.” “She should be because she’s got nothing to complain about!” (laughing) That kind of thing. 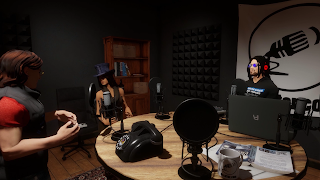 Q- What would you tell researchers or others who might be interested in working with people in the disability community to convince them that virtual worlds like Second Life are valid research venues? BD- Because it’s a sample that is incredibly large and it’s incredibly diverse and they will never, even with the biggest resources, be able to get this diversity of opinion to any subject matter concerning disability ever anywhere. They won’t get it even on the web or other places. If they put the word out on a web forum they might get a whole bunch of people. But obviously what’s the difference here? I would still say you will get a larger group of people and a more diverse group of people in Second Life, but also, I don’t have to tell you, you get them in their natural habitat. It’s not only where they come from but where they themselves have created, so as a researcher observing this and, I guess it depends on what discipline of social science you’re in and which tools you are using, but I would say it’s way more precise because you’re getting as close to the physical world as you can. If you go into Second Life you pretty much literally sit down with someone in their house on their porch by their little pond that they have in their back yard looking at the ducks and you have the conversation where you then draw your research from and you come to your conclusions. That’s a surrounding, that’s a place that changes the outcome of your study that’s not replicable unless you’ve got millions of dollars to fly all over the world to get those people to participate. You get a geographic diversity without leaving your home, because you can go in there, you are getting a huge diversity from all over the world for your study. But you can get that on the web too, you post on a web forum or if you are in a university you have your grad students put the word out on their forums to get people to participate. What I’m talking about is that you then conduct this research in the world, in the place, like you are going to visit them on their own turf, in their own space, the space that represents them. I’m talking about a specific methodology, also. For some methodologies, depending on the study, it is not necessary to go into their homes, sit down for a cup of coffee, it might be frowned upon, but you could do it over the phone or whatever. I find that the most fascinating method. If I had interviewed Daisy over the phone, and I didn’t know how she lives in SL, what’s the point? For my purpose, I can see that for the purpose of disability researchers, they may have different goals, they may have goals where they do a study on how do you deal with the fact that the post office where you live in the physical world is a historic building and they can’t put a ramp in. If the researcher does sort of a survey or was studying the state of affairs of retrofitting houses or buildings in the United States or whatever state. yeah I could argue why would they have to be in a iSkye’s wonderful home with the pond and the ducks. They could do it over the phone. But I still think it’d change the answer, it will change everything because … placemaking! Q- And the sample of people with disabilities in Second Life includes many with very severe disabilities. We have community members who type with their feet, or people who are completely paralyzed who control their computers with their eyes. BD- I don’t know how they access the computer if they’re that disabled. I know there’s blind people in SL and that sort of thing. That’s kind of my point, the ease of access to them. If the researcher had unlimited amounts of money, they could go where they [severely disabled subjects] are. Q- You seem to be a disability researcher yourself, Drax. BD- Am I? 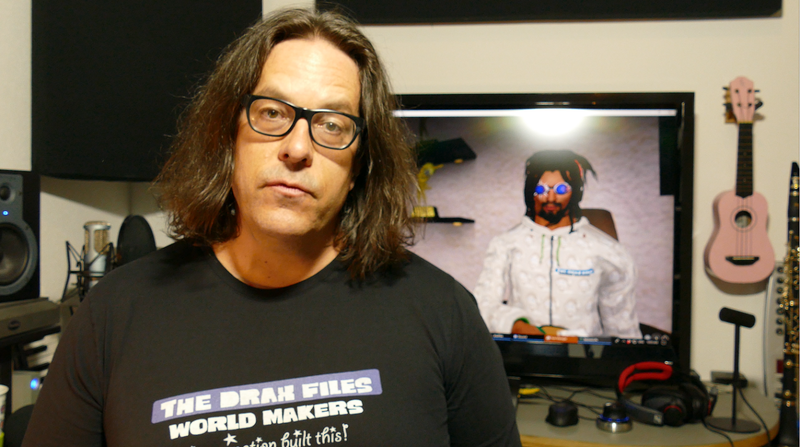 I’ve been called the Michael Moore of SL machinima. I’ve been called the Goebbels of Linden Lab propaganda. (laughing) I’ve been called the Leni Riefenstahl of Second Life machinima, come to think of it. I’m an advocacy documentarian. I thought long and hard about the term. I’ve been called an ethnographer and an anthropologist, but I don’t use the methodologies I would have to use to qualify as a real social scientist. I pick and choose and I do have an agenda. My agenda is to highlight stories of marginalized people who are not often heard. That’s a very deliberate thing. For that reason, that’s why I came into Second Life. As you know, a lot of people come into it and when they realize, well I can do anything, then a lot of people do very different things. I used to know a guy who was a marine biologist as a day job, and he started making furniture because he always wanted to do 3D modeling and he never did that, so he did it in SL. When I came in, I realized very soon that I wanted to tell stories that are being ignored by the mainstream media. That’s why I call myself an advocacy journalist I guess. Documentarian may be better. I have a point of view. And Linden Lab can use that point of view because it suits them, but that’s not my primary motivation, to make something that suits them. There is an overlap because I pick stories that are positive. They can use it to highlight the qualities of their platform, but for me there’s a fundamental difference between a commercial and something that picks out these stories. I’m not an investigative journalist. I have my beef with Linden Lab on many fronts and I’m not pursuing that. I could, but I have limited time and I choose to highlight the stories that are ignored. Well, the Second Life Birthday video was a paid gig. That’s a highlight reel for Second Life, for promotional purposes. They asked me to do something, I put a concept in there. I worked on the voice over with Ebbe so that it would sound natural, but they wanted to have bullet points in there. That’s why it’s on their YouTube channel and not on mine. What’s really important is the promotional aspect of it, and that’s why I go out of my way disclosing it, because I do get that every once in a while kind of a nasty comment like, “Oh yeah, he’s not even talking about XYZ, and it’s unfair.” My response would be, “Yeah it’s totally unfair but I’m not the court reporter and I’m not the investigative division of Second Life viewers.” I have a very specific thing that I do. I have an opinion and that opinion is often times very critical of Linden Lab if you ask me privately or even if you ask me publicly. For example, take Brad Pitt. Brad Pitt is an activist on many fronts in the physical world, but he’s playing in movies that are sheer entertainment. You’re not telling him, “Why are you not talking about the Enron scandal or that kids are being thrown in concentration camps?” He does that, but he’s not doing it in his art form. Long winded thing and people will say, “Drax, you are being totally defensive.” No, I’m not! Q- I’m going to give you the chance to ask yourself the final question. What do you want people to know? BD- (laughing) “How do you get the time?” That’s a question that I sometimes ask. And I get the same answer that I will give you now. Q- I thought your wife asked that question. BD- (laughing) I don’t watch television. She knows. It’s kind of a job, so I can legitimately say I have to do certain things. But if I look at it as a mere hobby or just sort of volunteering, where do I get the time? The time I get from not watching television. It’s very simple. If I look at the statistics of what people consume in terms of television, and I’m not saying that television is bad. There’s amazing stuff happening especially in documentaries and I should probably watch more of those to get inspired and see what the other people are doing. For me this is something I actually need as balance. I read paper books, which is fairly well known. I don’t read books on a Kindle. I really don’t like it. I want to commit to one book at a time. And that’s a perfect balance. It’s the perfect sort of single-tasking balance that keeps you centered, I think. Q- Thank you Drax for your advocacy, and for finding the time to do this interview. Shyla is also known in Second Life as KriJon Resident. Shyla used Dragon NaturallySpeaking to translate her spoken words into text for this interview. Q- Good morning, Shyla. A lot of people know Shyla in Second Life, but not all our readers know SL. And I bet not all who know you in SL know the pre-gecko Shyla. Are you willing to share a little about physical world (RL) Shyla, pre-disability, for background? SSG- Sure. Because I wasn't always disabled. And my story relates a lot to the idea that a person can be disabled in a very short period of time. I was very athletic as a young person. I enjoyed soccer very much. And I did have some troubles with my knee at a young age, when I was just 16. But they were not disabling, I would get surgeries every now and then, but eventually they told me I should avoid the harsher sports. So I became an avid bike rider. I enjoyed cross-country cycling most. In 2001, and I remember this because it was the year of 9/11, I finally sought treatment for a herniated disc. They did not think I would recover from that. But I did. I did not take that as a warning of what life might be like disabled, I took that as a statement that anything can be recovered from. Then when I was in my mid-40s, it herniated again. I was in excruciating pain, screaming pain. They repaired it but it herniated again within another year, and also it did not remove all the pain. The re-herniation took me from an active life to only being able to lie in bed in five days. They fixed it but because the pain didn't go away it was impossible to sit at a desk all day and work. Then it re-herniated, then another surgery, and then I went crazy. My whole life disappeared, my ability to work, sleep, be active were all gone. I worried about financial stability. I worried about being able to keep my home. I worried about my sanity. And I think I worried most about having a purpose in life. That is the before story to the point of disability. Oh, one more thing, I spent and spent and spent looking for a fix. Anyone who said they could fix me got my attention. Q- How has your disability changed your life and your outlook on life? SSG- Well, with time, and I think with faith, and when I say faith I don't mean a religious faith but just a belief in just about anything, I settled down. There are very few resources for me in the state where I live. I now have an aide who comes twice a week, a woman who cleans the house a couple of times a month, and a lady to take care of my cats twice a day. On the more spiritual side. I began to realize we all need each other, that it's okay to ask for help, that it's okay to be vulnerable with people you can trust. I attend support groups, where I often find people I can trust to talk to, but mostly I have more peace and serenity now. I realize that my job does not define me. It has opened me up to being more creative in other areas. Second Life had a lot to do with that. Q- That was my next question. How did you find the virtual world, and how has it changed your situation? SSG- Well I found the virtual world first through a support group. And I came to it once a week to attend this group. I did that for a year maybe more. I never ventured out of that SIM. I never learned how to do much more than sit in a chair and walk around and type in a chat box. And then finally, one day, I'm not sure why, I ventured out and found "freebies"! I got all kinds of freebies, and then I had to figure out what to do with them, I didn't even know how to change my clothes. But that was the start. I found Healthinfo Island. And there is an area with a lot of support groups. And I looked at all the signs, and looked for groups that I might fit in with, and I sent out IMs [instant messages] to many of the groups. Virtual Ability responded to me. And so I became involved with Virtual Ability. I did presentations after I took a workshop there. I am active now in Sansar. I have visited other virtual worlds. I feel the opportunities are unlimited. I tried scripting, but I've given it up, because my brain has a difficult time concentrating now. I'm still disabled, but sometimes Second Life makes me feel much more enabled than disabled. Q- You hold strong beliefs and are not shy of advocating for them. You've done this in the past in the physical world (RL). Would you please say a bit about advocacy and the skills you use? SSG- Well, as you know I'm a lesbian. And when I was young I advocated for gay rights. I worked to educate and get programs for people with AIDS. I lost many friends to the AIDS crisis, and these two aspects of my life, along with just being a woman, have taught me that it's important to speak out. But many people are scared. I advocate sharing our story for people with disability. There is a lot of misinformation propagated not just by stereotypes but even by government entities, politicians, that we are lazy, that we are able to work in our society that is driven by an 8 to 5 clock. So I suggest people just tell their story. It's less frightening and it need not be political. If people heard our stories, I think that there would be greater understanding. I know that is true for the people around me. And yes there will always be naysayers, there will always be people in our lives who think we are "faking" whatever our disability is. But our focus should be on those who are willing to listen. I think too, to one of the earlier questions you asked, I have learned there is no point in blaming. When we write our stories, we do best to just leave it at our stories, just the facts, take out any of the blame, but if something happened to us we should share it and let the reader or the listener determine the need for change. I think it's difficult, in our situation, to write this way because there is clearly plenty of blame to go around (laughs). SSG- Yes, but with the passion of our story. We know our story better than anyone, Gentle. And we don't need to highlight the injustices or the additional pain that they've caused, because there are so many it won't be lost on the reader or the listener. That has been my experience. We don't need to yell, we just need to tell. Q- So an important skill for advocacy is to be able to separate out the emotion during communication, but to keep it for our motivation? Oh I like how you said it, "tell don't yell.” OK so good communication skills. Anything else you can think of that helps one to do good advocacy? SSG- Well, it helps to be informed, to find organizations that communicate well, communicate the facts, and use them as educational resources. This is very difficult in our community. As organizations grow, they can be compromised, and focus on their sustainability rather than the community they are designed to serve. I think this is a harder skill to teach, separating the good organizations from the ones who have gotten lost along the way, than how to communicate our story. It takes me a lot of time to understand board composition, and the facts around a disability to know whether an organization is really serving the community they were designed to serve. And of course, those organizations with the most funds can do the most marketing, and use that marketing to sway our opinions about them and what they are doing. So in the end each person must decide where to put their focus, but I think it's important to share with people that not all organizations that say they are helping are really helping as much as they could. It's hard to decide where to put your volunteer energy and any extra funds we might have; both are so scarce in our community. Q- Can you do advocacy inside virtual worlds? If so, how is it similar and different from RL advocacy? SSG- Yes, you can do advocacy inside virtual worlds. You can mimic real-world advocacy, that's how it's similar. But how it's different is in the relationships we have with those around us. Second Life, and other virtual worlds, are not games in the sense that they actually can be used to change the real world. We are sharing our stories, everyone in the film shares their story, and our stories have similarities and they have differences. We are not "things” that you can just lump together, we are all unique. That is why every story is important to share. I share my story here in my build through my poetry, I share it at open mics and when I perform in Second Life. I share my story every opportunity I get, and I hope it does not wear people out as much is it invigorates them and helps them realize how amazing we all really are. Not because we get up every day and breathe, but because of how much more we do. That we can express our stories in our creations in Second Life, and in other virtual worlds, makes virtual world advocacy very unique, very inspiring, and very amazing. Q- You are good at predicting my next question, Shyla. You've been a poet and performer in RL and now in SL. How is that the same and different? SSG- It's the same, in the sense that I want to give my everything to my audience. There are open mics where I can practice my work, and it is imperative that I continue to write on a regular basis. These things are all similar. I have less stage fright in Second Life. I used to hate to take the stage in real life, oh my gosh I'd be so scared my stomach would turn inside out. Then once I was on the stage, I would be fine, but getting onto it was a nightmare for me. I feel fine here in Second Life taking the stage, even in front of people I do not know. I still have some jitters, I think that's natural when you want to do a good show and you're trying to do something unique and different. But nothing like in real life. Q- That's an interesting difference. Any theory why? SSG- (Giggles) I am not really sure why that's true. But I'm glad it is. Q- Indeed! You've been part of research projects here in Second Life. What advice would you give potential virtual world researchers about how to plan and design research projects in here? SSG- Wow. I've not really thought about that question. Ethnographia was such a unique experience because we were given a blank slate. Everything here was built by the research participants. And both Tom and Tredi were very familiar with Second Life and how it works. I think that is important. I think too, they listened. I am not sure what presumptions they came in with, because it's hard to not do a research project without some presumptions. But they listened. I think too, make sure everything works from the get-go, meaning take the time to do builds and bring people in to test them. And of course follow the guidelines. Make sure participants know they can exit at any time, make sure they understand what is happening in the research project, what they're being asked to do, and make sure there is proper confidentiality as is appropriate. Not everybody here at Ethnographia participated in the film, that was our choice. Q- Right, informed consent is critical to research in any venue. SSG- Yes. And research subjects should understand this too. Q- But Shyla... you are a GECKO! How can a gecko give informed consent? SSG- (Laughing hard) There is a human behind every avatar that can give consent, but I do enjoy being a gecko. In the film they asked why a 40-year-old something would want to be a gecko. I found that an interesting way to phrase it. Who wouldn't want to be a gecko? Q- Ummm ME! (laughing) Last question- What have I not asked about that you would like the world (or at least our blog readership) to know about Shyla, her disability, her life, or her Second Life? You get to set the question. SSG- Hmmmm... It's not about me really. It's about us. We're in this together. The whole world is in this together. And if there's one thing disability has taught me, it is that it doesn't work unless we’re in this together. I was listening to the National Geographic magazine and a Professor would give his students an option. They can get six points of extra credit, or two points of extra credit, but if more than 10% of the students chose six points of extra credit, no one would get any extra credit. None of his classes earned the extra credit. This is a concern to me. We are really in this together. Q- Wow, interesting research! The Tragedy of the Commons in the gradebook. So that’s all my questions. Thank you Shyla.